We worked on this game for the Ludam Dare 42 game jam. We spent 72 hours making this game in our first game jam. We used UE4 and did not use any premade assets or audio. The game jam theme is Running out of space. We managed to churn out five levels. 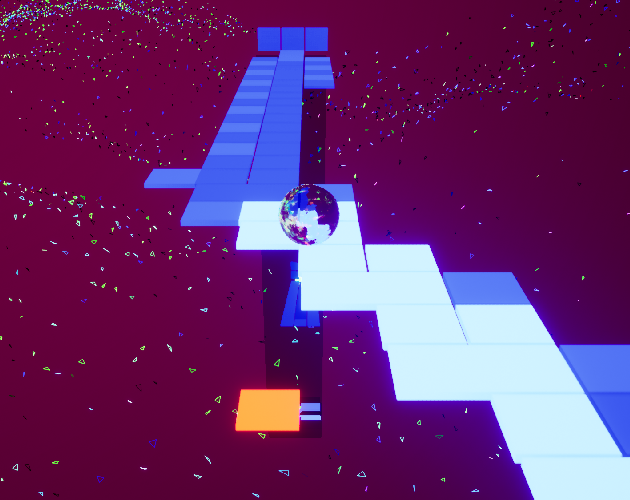 You control a sphere through obstacles of red and blue tiles. Blue tiles are safe, red tiles will fall on contact. The first few levels consist of getting from point A to B without falling. In the last level you have to make contact with every blue tile to finish the game. Enjoy! We made this game using pretty beefy PC's, please let us know if your were able to run it. This Game Has Controller Support!